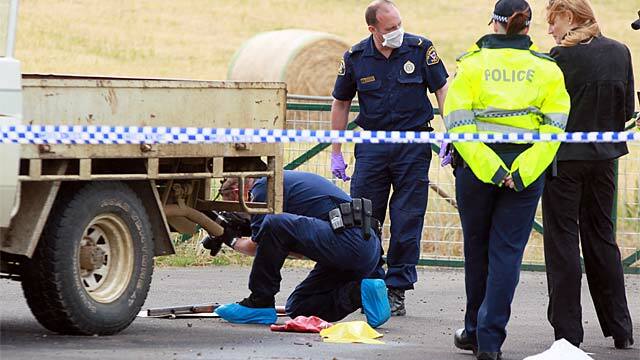 We are seeing a spike in murder-suicide crime happening in Tasmania at the moment. This is not reported as a trend by the Tasmanian media who specialise in not connecting anything to anything else. The media may claim observations such as this to be 'speculative' but considering the garbage they regard as 'news' then a trend like this should be reported. The Launceston Examiner would attribute this 'spike' to the fact we don't have a Liberal majority government or some such rubbish. Most people now realise that all competing parties are made-up of imbeciles anyway and only differ in how they harm ordinary people. So what's causing the violent crime wave happening in Tasmania at the moment? You would think economic factors play a role but these crimes appear mostly motivated by relationship issues. Why are some people in a position where they think their only solution is to kill somebody or themselves? This is where the government and the media have a responsibility. As we reported, our religious institutions have collapsed and are now part of the problem. Our governments are only concerned with themselves and 'help' falls into the hands of amateurs and 'do gooders'. We will not make a glib referral to LifeLine or BeyondBlue so somebody's problems can be raked-over by a retired accountant who thinks they can help. People should tackle the real problem and find out how their mind functions and why they are living in a hell that started being made in childhood. IT recommends a book by a Toltec healer called 'The Four Agreements'. You can download it here. There is a shortened version of it here. The starting point of this book is that we live in a psychological hell caused by our conditioning or 'domestication' that started when we were children. We end-up being the victims of other people's negative suggestions and our minds lack of knowledge of reality. If you can deal with that possibility then why not take the Toltec recovery journey?